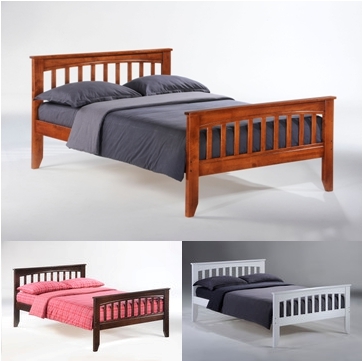 Mission style, solid hardwood bed in twin or full size. Perfect for guest room or your childs room. 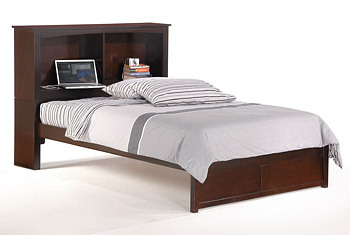 Platform bed means you only need a mattress. 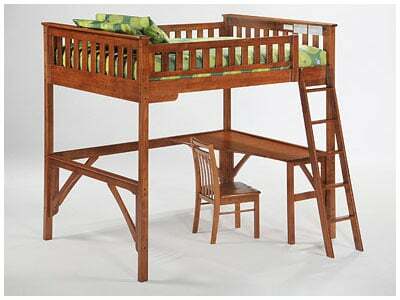 Add a trundle bed for extra sleeping or drawers for extra storage. Three finishes and a full line of chests are available to compliment all our our kids beds.